How to make a basic crepes at your campsite. For breakfast let's make some basic crepes and turn your campsite into “La crêperie du jour”. If you’re looking for a delicious change from your regular camping breakfast of bacon and eggs, oatmeal or cereal then it’s time to make some basic crepes. Basic meaning original and simple. My mom used to make crepes as an after school snack. It was a delicious alternative to a sandwich. I always made sure my mom made more batter in order to have leftovers crepes. A day or so after she made the crepes the extras ended up in a delicious soup. More on that later. Making basic crepes is easy if you have the right tools and ingredients! Click here to download your printable Basic Crepe Recipe PDF. 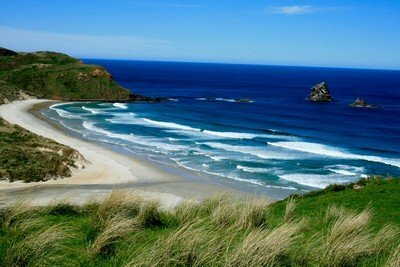 •	Having a tub of Crisco Vegetable Shortening or Cooking Oil Spray is a must. 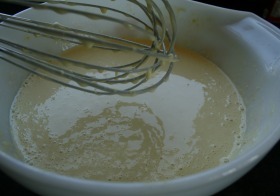 •	Also a whisk, aka a wire whip, will speed up the process a bunch and you won’t get lumps in the batter as easily. •	A large bowl, one with a rounded bottom, makes the mixing process easier. Note: The following recipe makes about (6) 10 inch crepes. Sometimes I’ll add an extra ½ cup of flour just to have a few extra crepes left over to make a crepe soup. •	Powdered Sugar for serving. I use Hungarian High Altitude Flour. Not sure why, maybe because we live at high altitude. Then again it's what my mom used...so why change? We prefer fruit on our Crepes. But if you like something more savory, add that. 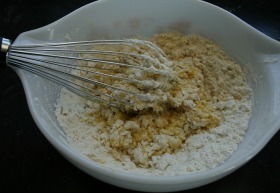 1 - Place 1 cup of flour in a large bowl. 2 - Add 2-3 cracked eggs. 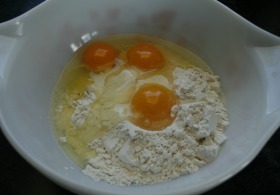 3 - Whisk the flour and egg mixture and gradually add the milk bit by bit. 5 - Time to heat up the pan. Fire up the stove using medium heat. Finally, place a teaspoon of Crisco in the pan. Don't worry if the first one isn't perfect! 6 - Once the pan is hot and the Crisco has melted pour about a 1/3 cup of batter using a ladle, if you have one, into the center of the pan. 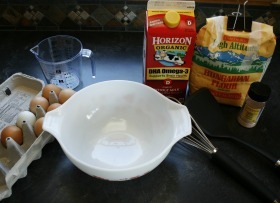 Tilt the pan around in a circular to distribute the batter evenly. 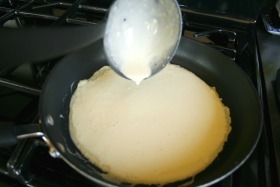 7 - After a couple minutes, using a spatula, lift a corner of the crepe to check the color. When it begins turning light brown or the batter is no longer shiny, flip it over. This can be done by using the spatula or flip it with the pan if you feel adventurous and confident. 8 - Once one crepe is done, slide it on to a plate to serve and immediately start making the next crepe. It's easier to make them when the pan is really hot and the batter pours easily. The longer the batter sits in the bowl the thicker it will get. 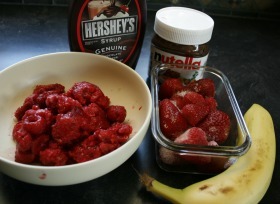 You may need to add more milk to the batter after a while if it gets too thick. 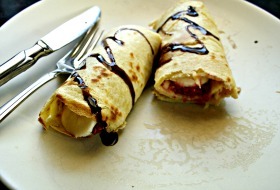 9 - To put finishing touches on the crepe add the ingredients of your choice, roll it up and enjoy! I like to use up all the batter in the bowl just so I have leftover basic crepes. Stack whatever crepes are left and roll them up into plastic wrap or inside zip-lock bag and place into the cooler for later. Pile on the toppings of your choice! Yum! The basic crepes are done. Be sure to check out some of our camping recipes with meat here. If you prefer to try one vegetarian recipes, we have plenty to try. 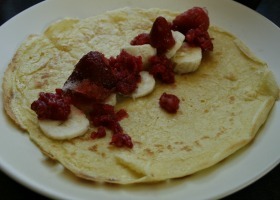 Click here to go from the basic crepes recipe page back to the home page. If you find the information helpful, please "Like" the web site. And, "Share" it with your friends too!